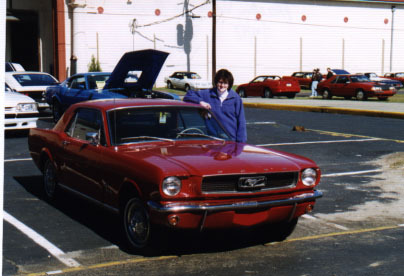 These are pictures from the car shows we have taken our Mustang to. 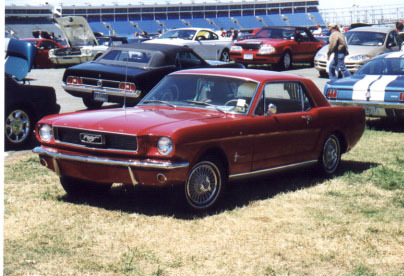 Our first show at Lakewood Fairgrounds for the Mustang Museum Rally, January 1998. 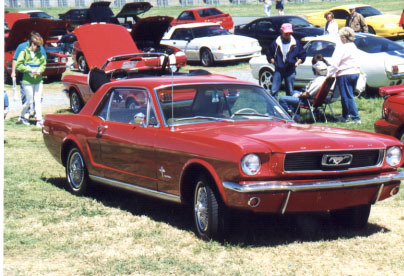 After seeing all the beautiful Mustangs at Lakewood, as soon as we got home I started ripping the interior out of ours. 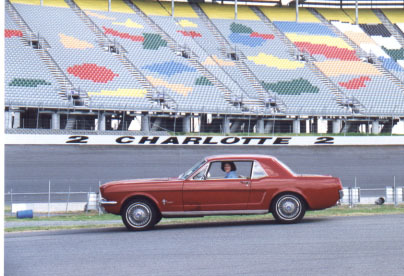 On the grounds at Charlotte Motor Speedway, April 1999, for the 35th Anniversary National Mustang Show. Monica in Rollerskate. Loved the seats in the stands. 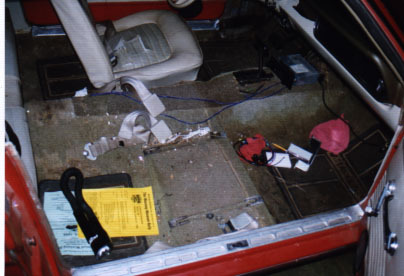 Still needed to fix the front suspension (which was riding about 1.5 inches too high). 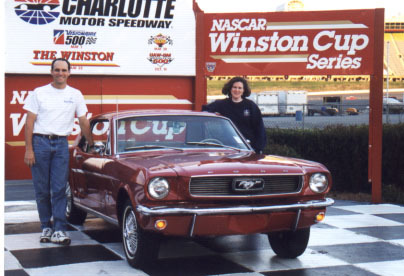 In the winner's circle at Charlotte.